The study, published in Nature Scientific Reports, opens up a promising new way of overcoming antibiotic resistance and could help scientists to design even more effective drugs. "Antibiotics work in different ways, but they all need to bind to bacterial cells in order to kill them," explains lead author Dr Joseph Ndieyira (UCL Medicine). 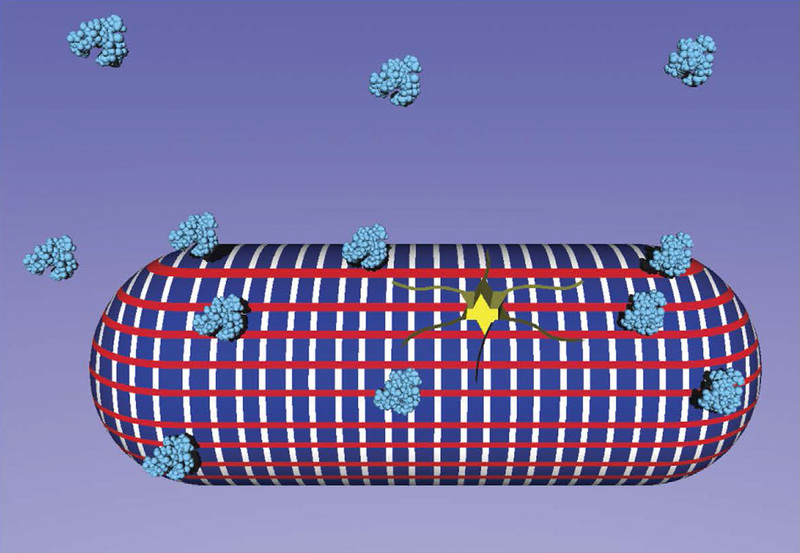 "Antibiotics have 'keys' that fit 'locks' on bacterial cell surfaces, allowing them to latch on. When a bacterium becomes resistant to a drug, it effectively changes the locks so the key won't fit any more. Incredibly, we found that certain antibiotics can still 'force' the lock, allowing them to bind to and kill resistant bacteria because they are able to push hard enough. In fact, some of them were so strong they tore the door off its hinges, killing the bacteria instantly!" The researchers used sensitive equipment to measure the mechanical forces that four different antibiotics exerted on bacterial cells. They tested bacteria that were susceptible to antibiotics and those that had developed resistance. The antibiotics all exerted similar forces on susceptible bacteria, but the forces they exerted on resistant bacteria varied significantly. The antibiotics tested included vancomycin, a powerful antibiotic used as a last resort treatment for MRSA and other infections, and oritavancin, a modified version of vancomycin used against complex skin infections. "We found that oritavancin pressed into resistant bacteria with a force 11,000 times stronger than vancomycin," says Dr Ndieyira. "Even though it has the same 'key' as vancomycin, oritavancin was still highly effective at killing resistant bacteria. Until now it wasn't clear how oritavancin killed bacteria, but our study suggests that the forces it generates can actually tear holes in the bacteria and rip them apart." Oritavancin is a fast-acting antibiotic that can kill bacteria in 15 minutes, whereas vancomycin takes 6-24 hours. Vancomycin works by disrupting vital processes in bacteria so they slowly stop functioning and die. Although oritavancin is a modified version of vancomycin, the new study suggests that it kills bacteria in a completely different way. "Oritavancin molecules are good at sticking together to form clusters, which fundamentally changes how they kill bacteria," explains Dr Ndieyira. "When two clusters dig into a bacterial surface they push apart from each other, tearing the surface and killing the bacteria. Remarkably, we found that conditions at the bacterial surface actually encourage clustering which makes antibiotics even more effective." The team developed a detailed mathematical model to describe how antibiotics behave at the surface of bacterial cells. The model could be used to screen promising new antibiotics, identifying new drugs that can kill bacteria by using brute force. "Our findings will help us not only to design new antibiotics but also to modify existing ones to overcome resistance," says Dr Ndieyira. "Oritavancin is just a modified version of vancomycin, and now we know how these modifications work we can do similar things with other antibiotics. This will help us to create a new generation of antibiotics to tackle multi-drug resistant bacterial infections, now recognized as one of the greatest global threats in modern healthcare." The research was primarily funded by the Engineering and Physical Sciences Research Council (EPSRC), with additional support from UCL, the European Union and the National Institute for Health Research University College London Hospitals Biomedical Research Centre.